I read this article and found it very interesting, thought it might be something for you. The article is called A Guide to the Balearic Islands: Where to stay, what to do and where to eat and is located at https://www.ebookers.com/travel-blog/ebookers/guide-balaeric-islands-stay-eat/. The breathtaking Balearic Islands consist of four contrasting islands; Mallorca, the grand dame, hails as queen of the resorts, party paradise Ibiza has matured to include eco-centric options, while both Menorca and Formentera remain quaint and idyllic in look and flavour. Can’t decide? Read on to discover which of these mesmerizing islands best suits your pleasure. Known for world class DJs and a decadent party scene that storms in every summer season, Ibiza has a softer side too. Home to idyllic hamlets, hidden coves and a storied past most evident via her UNESCO listed old town, this reformed wild child can accommodate all wants and tastes. Sir Joan: For a stylish stay with a hint of urban flair, this 38-room boutique newcomer is just a skip and a jump from beaches, restaurants and nightlife. Conveniently, the sleek property is home to two quality restaurants, Izakaya and The Butcher, an ultra-mod triangular pool and a collection of curated concierge services conceptualized by vetted experts. Nobu Hotel Ibiza Bay: This newly minted luxury resort hotel named after celebrity chef Nobuyuki Matsuhisa, features 152 spacious rooms and suites with arresting ocean views, the island’s first Six Senses Spa and four distinct restaurants—each inspired by Ibiza’s bountiful local ingredients. Od Ocean Drive: Located near the sleepy town of San Juan, mere minutes to the closest beach by car, this enchanting five-suite hotel is ideal for couples in search of total relaxation. Highlights include private spa sessions, Balinese-style day beds and a hospitable staff catering to your every whim, 24 hours a day. 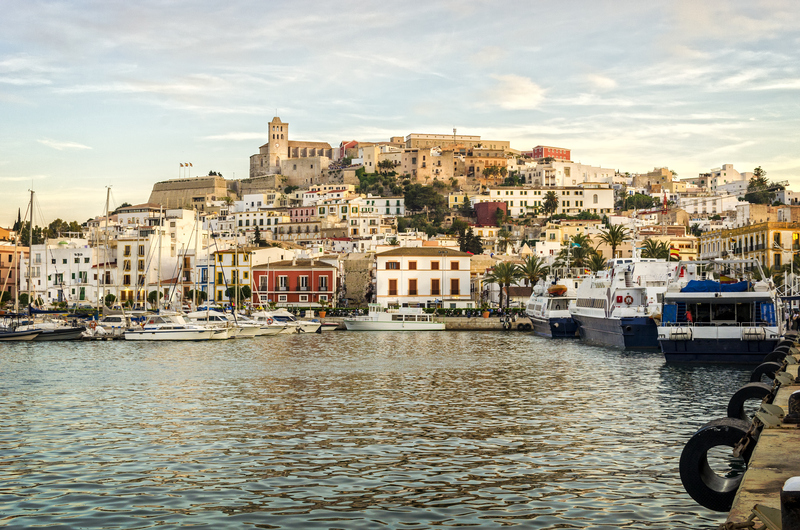 Explore Dalt Vila: An absolute must-see for history buffs, the UNESCO-listed Dalt Vila offers a fascinating look at Ibiza Town’s oldest remnants. Notable attractions include 16th century Phoenician fortifications built to fend off foreign invaders, the Bishop’s Palace and the panoramic views from the 18th century Santa Lucia bastion. Pamper yourself: Take a break from the rowdy party circuit with a detoxing treatment at one of over a dozen holistic spas strewn all around the island. For a more in-depth cleanse, book a weeklong wellness retreat in natural surroundings. 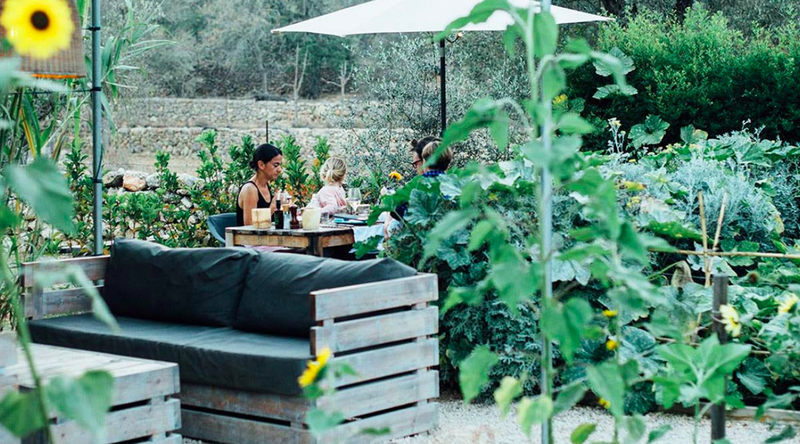 Try Ibiza Retreats for a combination of yoga, massage and healthy cuisine. Take to the Sea: Featuring 15 Blue Flag beaches, Ibiza is the perfect isle for water activities. 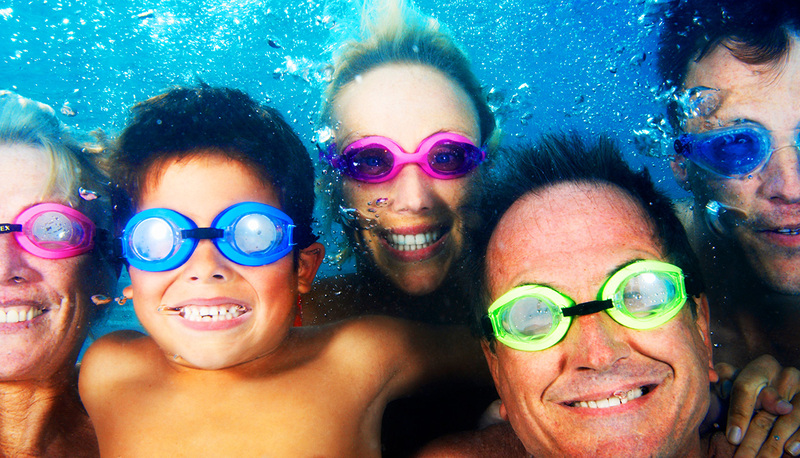 Everything from jet-skiing to kayaking to parasailing is on offer at the major resorts or, for a more intimate experience, charter a private boat and crew for the day or better still, sign up for diving classes and engage with the island’s colourful aquatic life. Sa Soca: For authentic home-cooked fare, try this welcoming family-run restaurant in San Antonio. 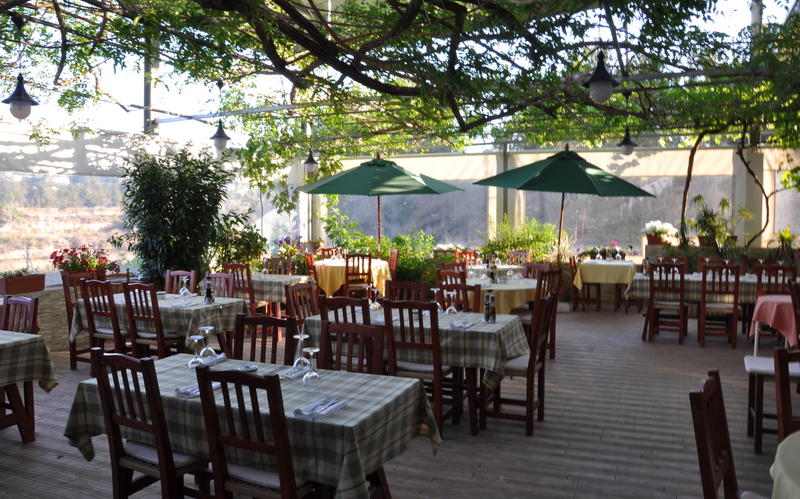 Serving a seasonal selection of both fish and hearty meat dishes, guests are invited to sit in the bucolic garden terrace in summer or inside by a cosy vintage brick fireplace during the chillier months. The Giri Café: Located in central San Juan, this eco-conscious spot, popular with families and late-night revellers alike, features a healthy variety of island-grown produce, the choicest catch of the day and bio Iberian meats in a relaxed and minimalist setting. 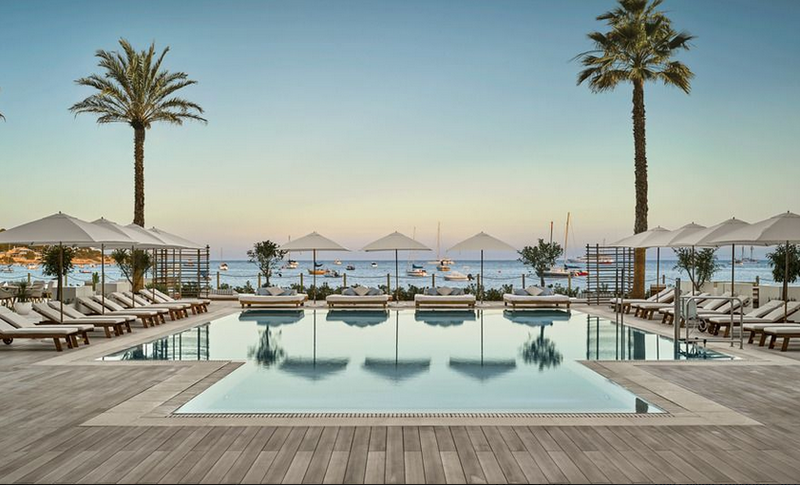 Nobu Hotel Ibiza Bay restaurants: For a one-stop gastronomic experience and unbeatable oceanfront views, try one (or all!) of Nobu’s eateries; Chambao specializes in fresh local flavours, London’s own Peyotito offers Mexican fusion with a healthy twist and punchy cocktails, Celicioso only serves gluten-free bites and desserts and Nobu is world famous for exotic Japanese-Peruvian dishes. 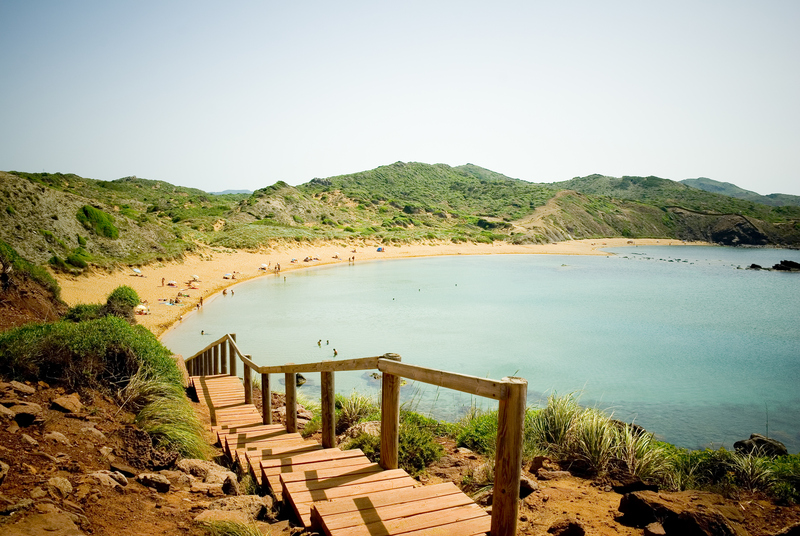 Top Tip: Spend the morning relaxing on Cala Mastella Beach. A favourite with in-the-know-local’s who enjoy the unspoiled bohemian vibe. The cove sits just behind long-term island eatery, El Bigotes. So popular, rumour has it that they once turned the King of Spain away because he didn’t have a reservation. Be warned they don’t take bookings. Those lucky enough to get a table can enjoy an amazing built de peix which is the local freshly caught fish and potato stew. With her sparkling azure waters, hillside villages and enticing landscapes, Mallorca is the perfect haven for active travelers. Whether biking along the mighty Tramuntana Mountains’ winding curves, exploring ancient monasteries, swimming at an array of distinctive beaches or sipping wine at generations-old vineyards, the largest Balearic sister has got you covered. 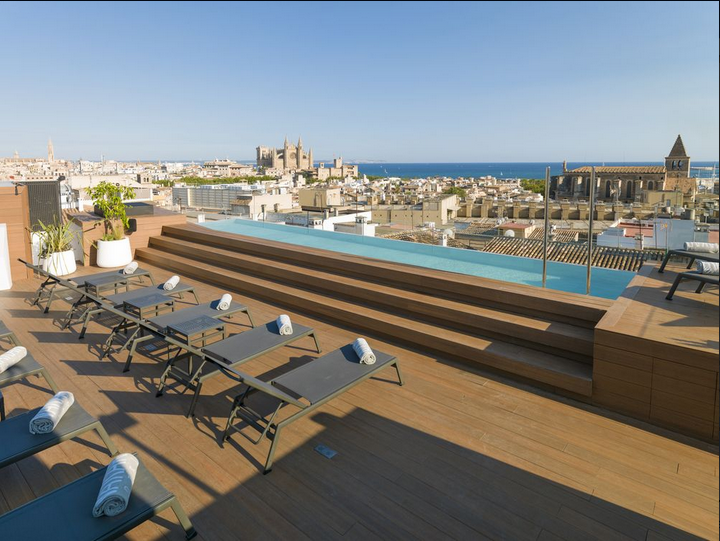 Nakar Hotel: Offering the perfect combination of modernity and warm hospitality, this Palma-based boutique beauty suits travelers looking for a tech-savvy stay in close proximity to restaurants, cafes and shops. Amenities of note include the rooftop sundeck with inviting infinity pool and the subterranean spa area. Pleta de Mar by Nature: This coastal retreat hotel in sun-glazed Canyamel houses 30 minimalist design suites with private terraces and earth-toned public areas designed to harmonize with nature. Helmed by a group responsible for some of the most outstanding accommodations on the island, standout features include two infinity pools and a secluded beach. 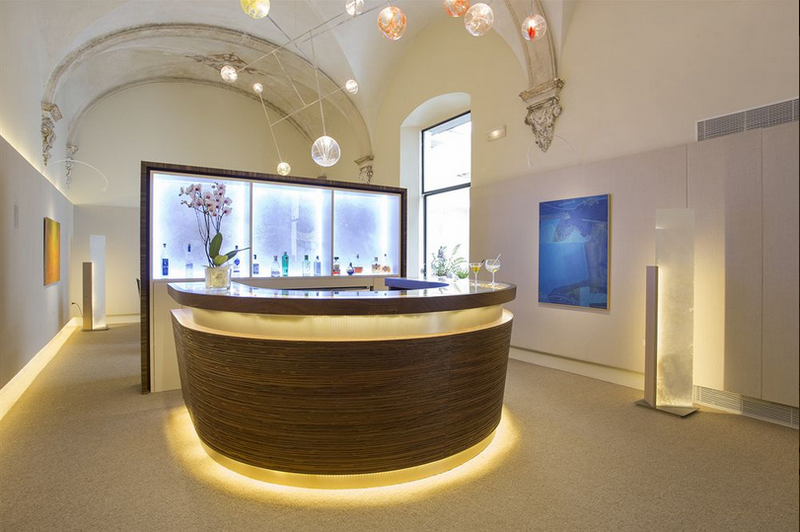 Convent de la Missió: This former 18-century monastery turned artsy 5-star offers a peaceful stay in Palma’s historic heart. The lofty lobby and adjoining vaulted Art Bar is a crowd pleaser, while original fixtures throughout add a flutter of whimsy. Notable comfort zones include the spa housed in what once was the crypt and a spacious rooftop terrace and gym. Take a scenic drive: Arguably the best way to take in the vastly changing landscape is to jump in a car and drive. 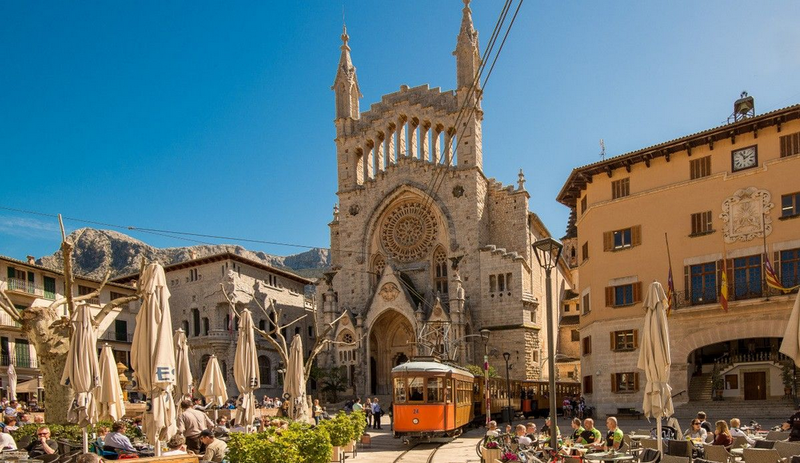 Highlights are plentiful though a leisurely stop at the posh hilltop town of Sóller is highly recommended for its romantic Art Nouveau architecture and aromatic orange blossom trees. Try local wines: With a firm dedication to quality and a steady increase in production over the past five years, Majorca wines are likely the best vinos you’ve never tried. Start your sampling with indigenous varieties offered at organic wineries Can Majoral and 4kilos. Culture Craze. A multi-million euro project to preserve the island’s green spaces and cultural heritage has inspired some unique offerings including the once private royal Marivent Palace Gardens, a botanical marvel featuring 12 sculptures donated by Catalan artist, Joan Miró. The artist’s own Palma-based Fundacio Pilar i Joan Miró recently celebrated 25 years on the island. Marc Fosh: British-born expat Marc Fosh offers clean and inventive regional flavours at his Michelin-starred namesake restaurant located in the sleek Convent de la MissióHotel. Surprisingly affordable three-course lunch menus served in a smart, ultra-modern setting feature the best of Mallorca’s natural bounty. Restaurante Jardin: Situated in tourist-friendly Port de Alcudia, this elegant design restaurant offers contemporary Mediterranean cuisine served in a lovely garden space. Helmed by the only Michelin-starred female chef on the island, Macarena de Castro, it’s a well-known spot for dapper denizens. La Lonja: Not a restaurant but rather an area well-known for its tasty eateries, standouts in this corner of Mallorca include the ambience-filled La Paloma for well made simple fare as well as Forn de Sant Joan and La Taperia, arguably the best tapas joints in town. Top Tip: Visit after the peak season between October and December for inventive seasonal menus and a lyrical landscape of green and golden hues. 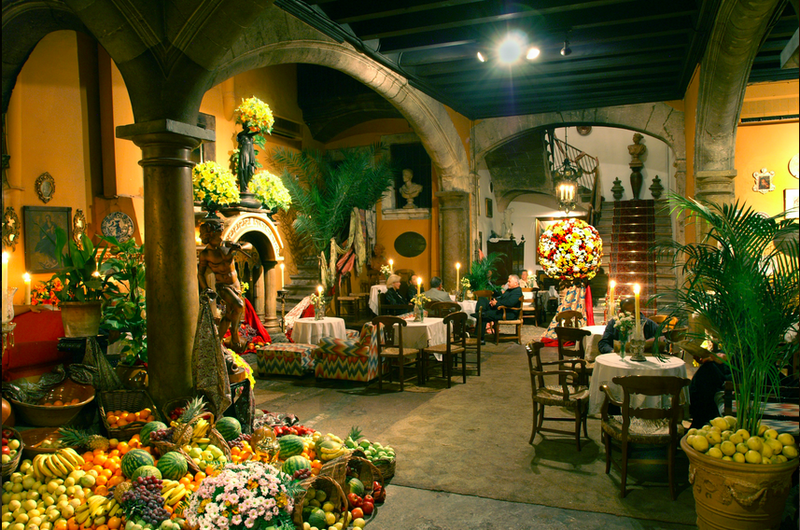 When in Palma make sure you head to Abaco for a cocktail in this Baroque-inspired gem, where you feel as though you have stepped back in time. 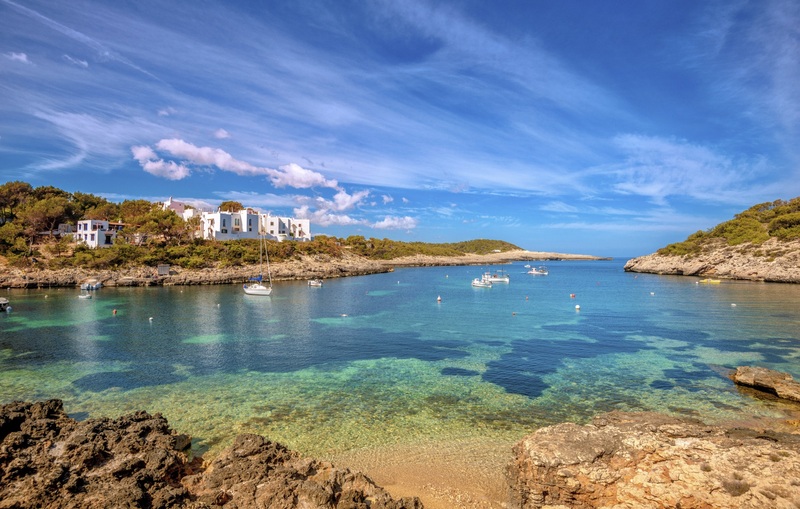 Featuring a striking coastline, robust with verdant fields, copper-toned hills and a decidedly rural landscape, Menorca is best suited for those in search of a mellower vibe. From the labyrinthine streets of Ciutadella to noteworthy archeological digs near the capital Mahon, this under-explored island entices her visitors at every turn. Cugo Gran: Just a short scenic drive from island capital Mahon, guests visiting this 11-room onetime private villa can enjoy personalized services amidst the quiet countryside splendor of Sant Climent. Overseen by a friendly British couple and a small professional staff, concierge extras include winery and distillery visits, bike tours and car transportation services. Agroturisme Son Vives: Nestled on a secluded hilltop far from civilization, this 12-room rural hotel offers a rejuvenating, low-key stay. Rooms are simple but comfy and visitors are encouraged to explore the neighboring countryside. Besides yoga classes, few other amenities are on offer though property produces its own cheese and organic vegetables generously served at mealtimes. 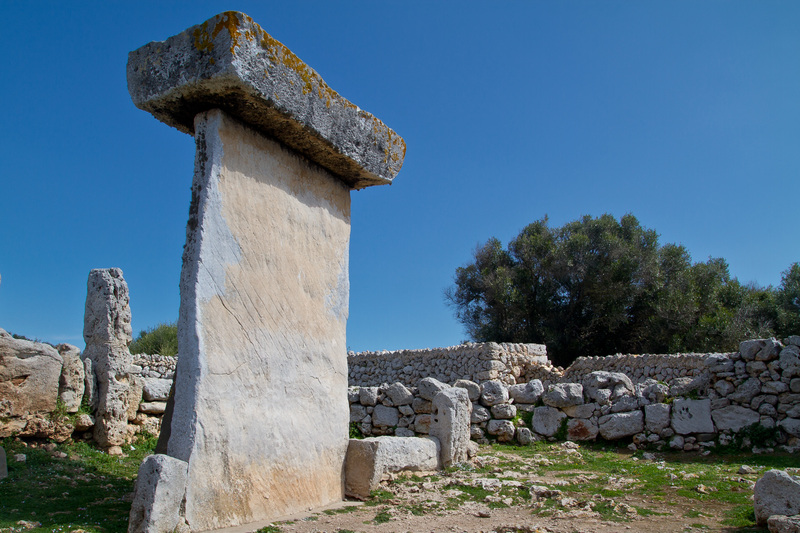 Treasure Island: A UNESCO biosphere reserve since 1993, Menorca sets its sights on World Heritage status this year for its well-preserved Talaiotic settlements. In 2015, a trio of archeologists formed an association to excavate the remains of the last-known untouched 2nd Iron Age sanctuary (taula) inside the settlement of Sa Cudia Cremada near Mahon. Today, seasonal onsite fieldwork courses that include excavations, lectures and workshops are on offer. 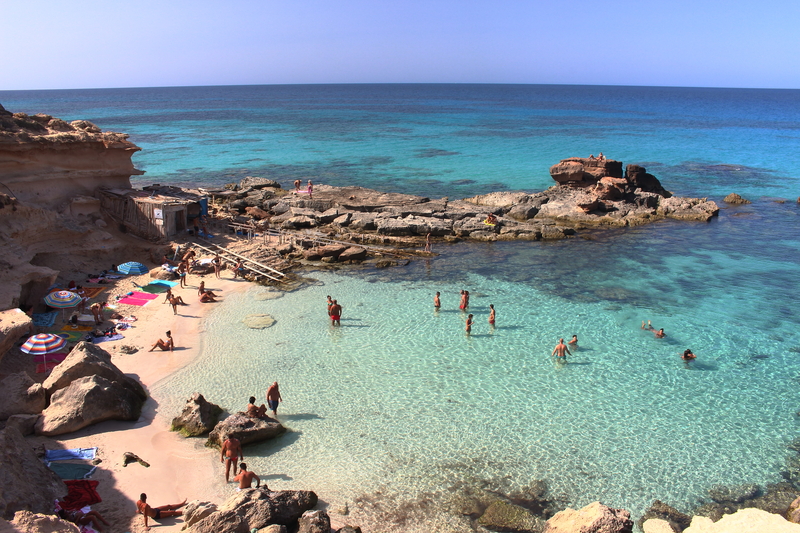 Beach Hop: A haven for sun worshippers, Menorca’s most desolate beaches are easily reachable by boat or car. Cala Turqueta’s impossibly blue waters and shady pines, the white sand majesty of Cala Mitjana and the dramatic pinkish-red cliffs and sands found in Cala Pregonda are amongst the most memorable. 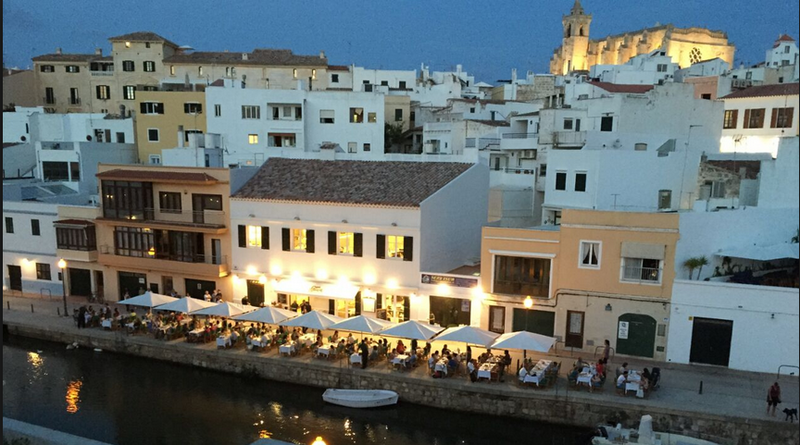 Can Vermut: Known for its excellent tapas, deli favorites, select vermouth and friendly service, this popular restaurant serves guests seated at portside tables right in the heart of Mahon harbor. During the busy summer season, Sundays are reserved for a lineup of rotating homegrown DJ’s. Café Balear: Pricier but equally relaxed, this family-friendly restaurant is noted as one of the best seafood stops in Ciutadella. In fact, to ensure the freshness of the fish dishes the owners invested in their own fishing boat that sets sail daily to bring back the fresh catch of the day. Top Tip: Remote beaches offer a private respite but also fewer service facilities so come prepared with plenty of water, snacks and a post swim change of clothing. Despite her diminutive size, baby of the bunch Formentera is notable for long-stretch beaches, sandy dunes and indigenous flora. 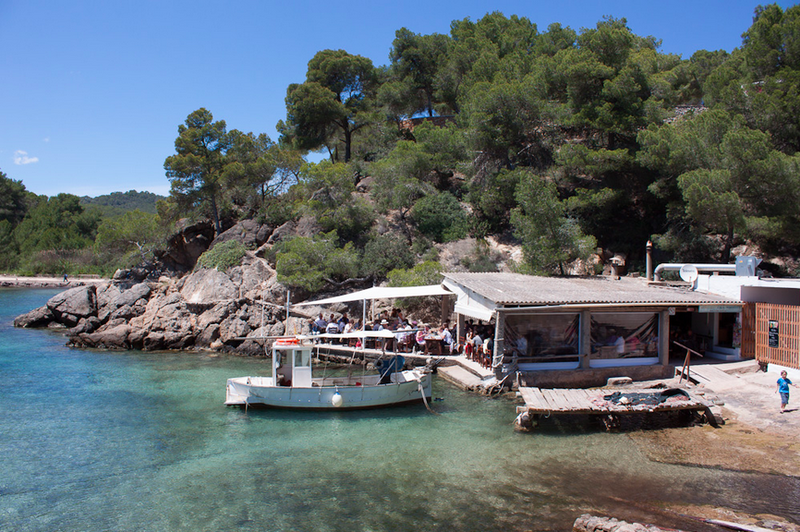 Reachable only via ferry from neighboring Ibiza, this little island offers a tranquil retreat far removed from stressful city living — the perfect escape to enjoy snorkeling, sunbathing, or lazy lounging. 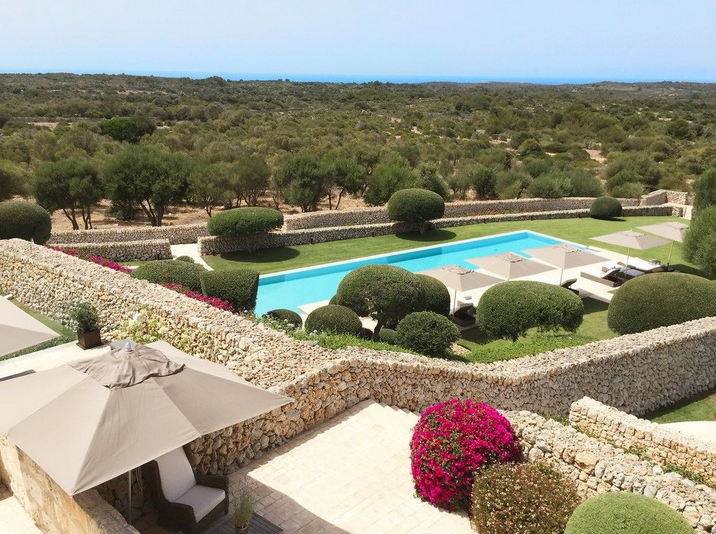 Hostal Casbah: A five-minute stroll from Formentera’s largest beach, Playa Migjorn and a speedy scooter ride from the port of La Savina, this quaint rural stay feels more like a holiday home than hotel. A great basecamp for discovering the island at your own pace, the lovely hibiscus-scented gardens feature sunbeds, a swimming pool and a la carte massages. 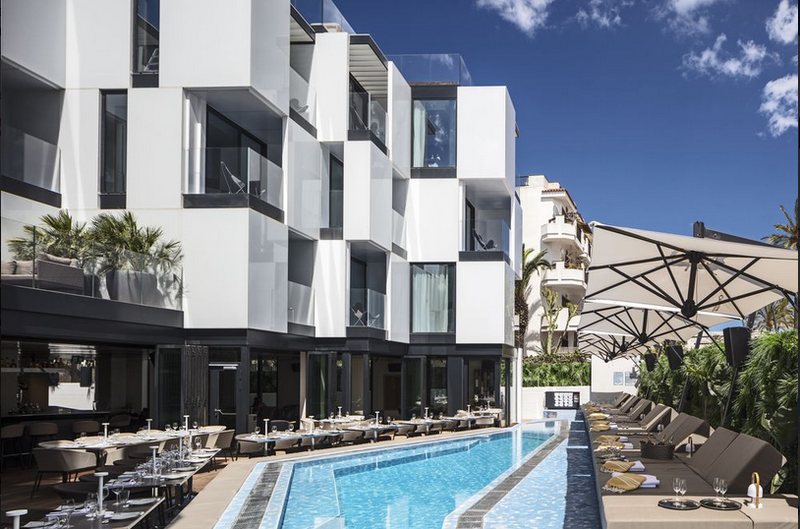 RIU La Mola: Situated on a hillside surrounded by verdant pines and flora, this neutral-toned resort hotel feels calming and inviting despite its mammoth size. The complex features two pools, a tennis court, mini golf, spa facilities and evening entertainment. Opt for a sea view room for amazing panoramic views. Get Muddy. Escape from it all to the private islet of Espalmador where visitors can experience the detoxifying effects of natural mud baths and feel in tune with nature. Come equipped with daytrip staples since no hotels or eateries are to be found for miles around. Go Green. With over 30 green bike routes to choose from on an island that is only 12 miles from tip to tip, visitors are easily enticed into giving it a go. 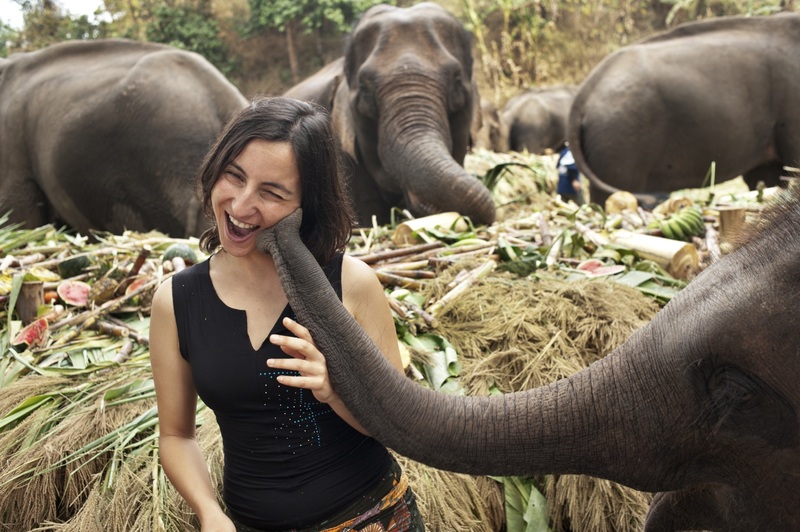 On typical routes, riders can witness Roman ruins, stop off at fishing villages or pedal through farming countryside complete with reach-out-and-touch livestock. Can Carlitos: Little brother to local staple Can Carlos, this seaside beach shack focuses on traditional Spanish dishes with an island twist. Feel at home whilst sharing tasty paella or tapas dishes and a selection of homemade desserts, seated on flower-print cushions on the buzzy terrace. Es Moli de Sal: A tad more upscale yet without pretension, the glitterati flock to this former windmill at the foot of the sea in Playa des Illetas for amazing sunset views, and of course, the boundless seafood menu. 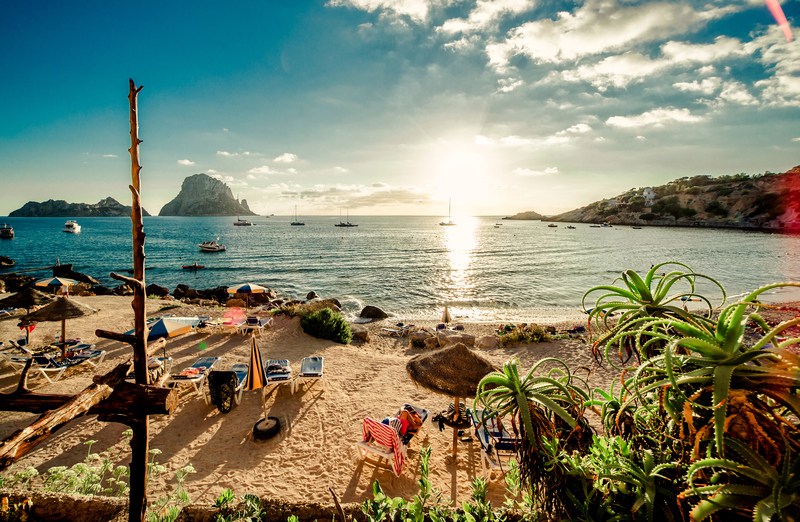 Top Tip: To experience a truly epic sunset head to Cala Saona, a popular sunset spot home to a little beach shack on stilts serving up the island’s best mojitos. If planning to visit all four isles, fly into Mallorca’s Palma International Airport, conveniently one of the largest in Spain. From there, hop on a quick ferry to Menorca, which is just under 2 hours away, or fly to Ibiza in approximately one hour. 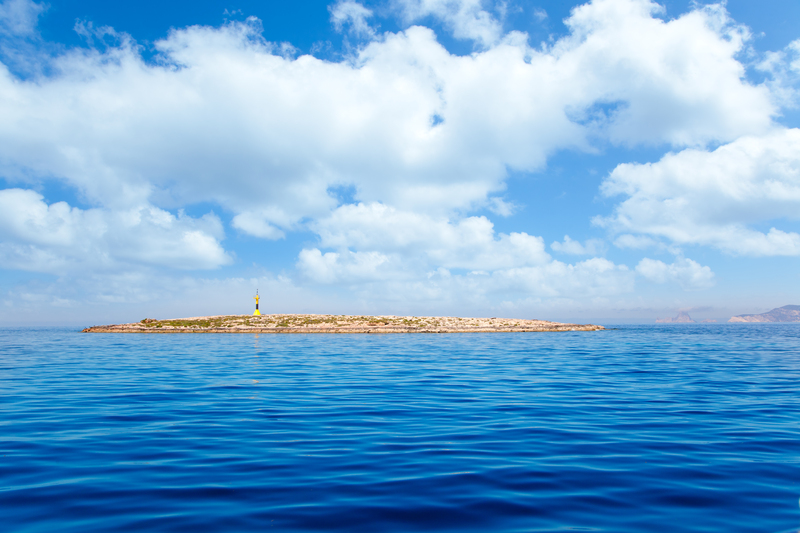 Formentera is only reachable via a quick 30-min ferry jaunt from Ibiza. Be aware that rental cars are not permitted on ferries. Best to rent a new car at each port of call or time permitting, explore on foot, bike or public transportation. Although all four islands offer quiet corners worthy of exploration, if solitude is imperative your best options are Formentera and Menorca. Both offer striking remote areas and a laid back vibe, even during the busy summer season. The best time of the year to visit the islands largely depends on your particular interests, though late April through early June are optimal in terms of weather and limited crowds. 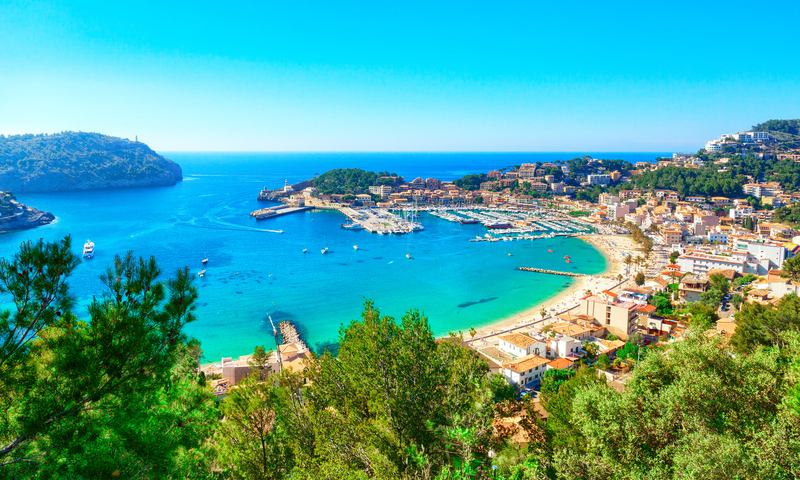 In recent years, however, more and more travellers are opting to visit Mallorca and Ibiza in autumn, when the revelers go home and activities are less amped up. Popular choices range from yoga and detox retreats to wine tastings to mountainside cycling. Though reservations for restaurants, lounges, and entertainment tickets are an absolute must during the busy summer season, venues tend to be more relaxed with admission in early spring and autumn. This being said, best to check ahead during the off-season to ensure your favorites are open. If shopping is on your schedule, Mallorca is the best choice for designer and off-the-rack fashion labels; Ibiza offers a wider selection of one-of-a-kind boutique shopping and gourmand delights, Menorca is known for unique jewelry pieces and a distinctive homegrown cheese while Formentera sells artisan trinkets and furnishings at a selection of local outdoor markets.